The veteran actress passed away on Thursday due to cardiac arrest. 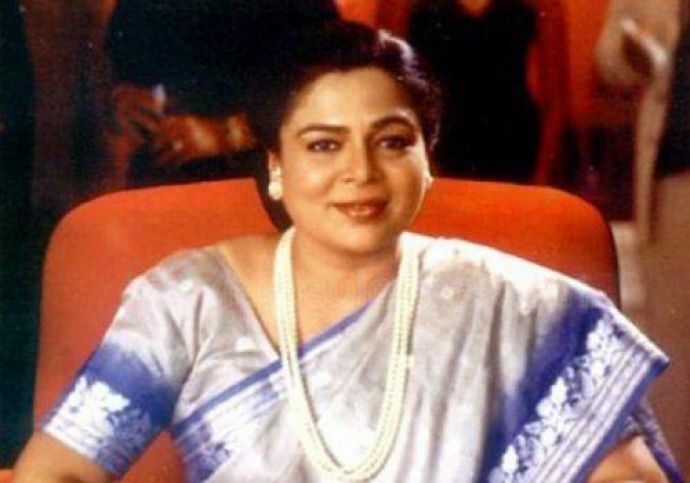 Reema Lagoo gave a new dimension to the role of a mother, played on-screen mom to stars like Salman Khan and Shahrukh Khan, painted the screen with every possible emotion and finally said goodbye. The film industry, today, lost its most loving veteran actress. She started with television serials and rose to fame with many successful Bollywood movies like Qayamat Se Qayamat Tak, Hum Saath Saath Hai, Kal Ho Na Ho as well as recent Hindi television serial Namkaran. 1. A Multi-tasker Mom From Hum Aapke Hai Kaun! Juggling the role of a loving mother of two girls, a caring mother-in-law, a beautiful wife and a natkhat "samdhan" , Reema painted the picture of a perfect mother in this multi-starer magnum opus. Her role in this movie literally highlights all the multitasks a woman takes responsibility of. Her heart can either be as hard as stone or as soft as fur but one thing that keeps every mother going is the smile on her kid's face. 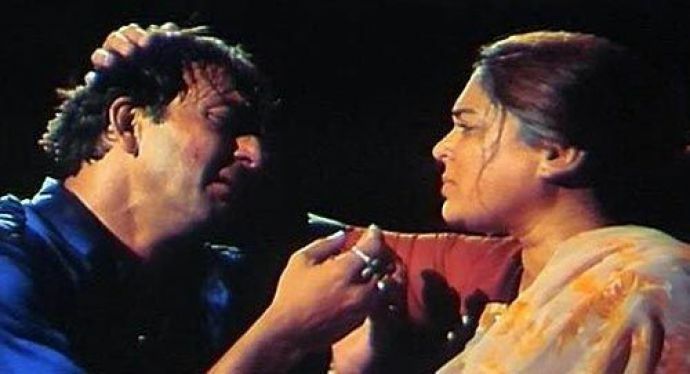 She played mother to Sanjay Dutt in this movie and narrated the world, the transformation of a loving and doting mother into a helpless and sad one given the hardships she sees her son suffer. 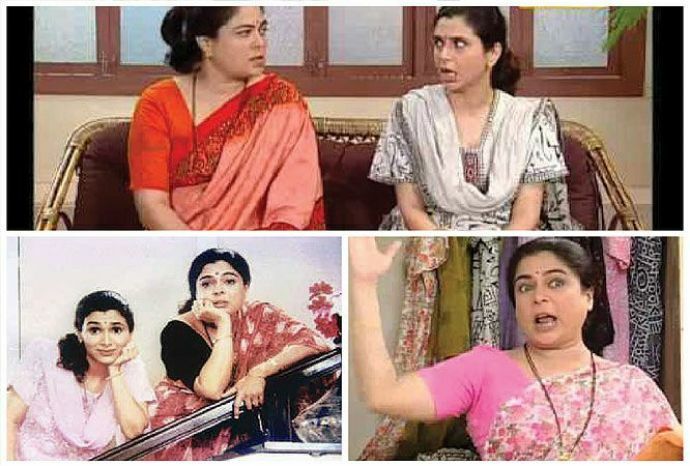 Indeed one of the best in the Reema Lagoo legacy. Reema's role in this movie showed us how maternal love can at times put blinds on the right and wrong doings of a mother. She played the loving mom to superstar Salman Khan in this movie and also painted the picture of a mother who holds the house together with her love. The obstacles of being a single mom who sees her son reach his glories and yet being the understanding one who becomes the anchor to her kid., her portrayal of a modern mom to Abhishek Bachchan in this movie subtly narrated the strength of single mothers. Reema played mother to Shahrukh Khan in this movie colored the screen by her 'friendship' with her son. A mother who holds herself strong to support her son's battle to life and yet be the guardian of his secret, she indeed gave mom goals to all. Yet another portrayal of the best and loving single mom. She played mother to Anjali (Kajol) in this movie and above all she was loved for her portrayal of a friendly mother-in-law to Aman (Salman Khan). 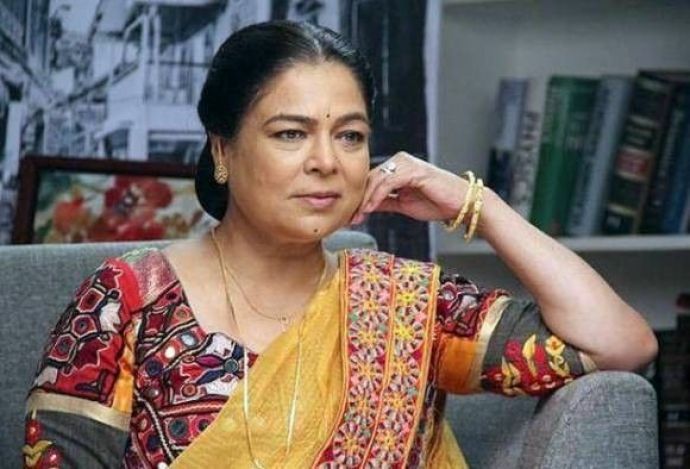 Who would ever forget the nagging Devaki Verma from the famous Doordarshan and Starplus sitcom Tu Tu Mai Mai , the series directed by Sachin Pilgaonkar gave the saas - bahu relation a new flavor. She was that versatile actor who could hold the good as well as the bad together. Her last on-screen presence was in the famous Hindi TV serial Naamkaran. She was seen playing the negative role of Dayavanti Mehta who would trouble her grand-daughter. 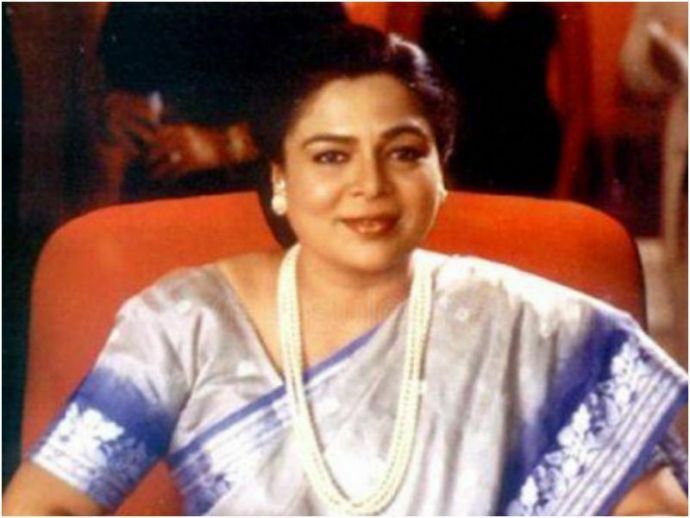 Reema Lagoo has been a brilliant actress when it came to characters and an actress who could narrate every story with myriad emotions. We Will Miss You Always Reema Ji!